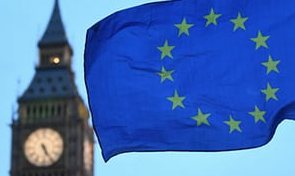 As the UK government proceeds with the introduction of legislation to retain EU law in domestic UK legislation through the EU Withdrawal Bill the Human Rights Consortium and other civil society organisations have highlighted fundamental flaws with the legislation that could lead to a weakening of human rights protections and undermine elements of the Northern Ireland peace process. The EU Withdrawal Bill which will have its second reading in the House of Commons on the 7th and 11th September seeks to retain/replicate EU legislation within the UK and repeal the European Communities Act. A failure to protect the Belfast/Good Agreement and the manner in which EU law currently underpins many elements of the peace process. No continuation of the European Charter of Fundamental Rights in UK law, an important current source of human rights protection. Restricts reference to the European Court of Justice and use of its jurisprudence which removes an important oversight mechanism for rights protections and risks differentiating between rights standards with the rest of Europe. Places broad unrestricted powers in the hands of UK Ministers to amend or repeal any retained EU legislation which jeopardises existing rights without proper parliamentary scrutiny. Places possible restrictions on the NI Assembly to act in accordance with Westminster legislation for retained legislation when traditionally the Assembly has been able to develop different local approaches as the need has arisen. A short briefing on the main criticism of the Withdrawal Bill has been developed by the Consortium in collaboration with other civil society organisations and is available to download below. A short briefing outlining some of the main concerns about the EU Withdrawal Bill by NI civil society groups.